एडवर्ड द एल्डर और ऍलफ्लैड का पुत्र अविवाहित? क्नट और नॉर्थैम्पटन की ऐल्फ्गिफु का पुत्र  ऍल्फ्गिफु? After Harthacanute, there was a brief Saxon Restoration between 1042 and 1066. ↑ प्रैट, डेविड (2007). "The political thought of King Alfred the Great". Cambridge Studies in Medieval Life and Thought: Fourth Series 67. कैम्ब्रिज विश्वविद्यालय प्रेस. पृ॰ 106. आई॰ऍस॰बी॰ऍन॰ 978-0-521-80350-2. ↑ अ आ साइमन कीनेस (2001). 'Edward, King of the Anglo-Saxons', एन. जे. हिगहम व डी. एच. हिल के संस्करणों में, Edward the Elder. राउटेलेज. पृ॰ 50–51. ↑ एलन ठैकर (2001). 'Dynastic Monasteries and Family Cults', एन. जे. हिगहम व डी. एच. हिल के संस्करणों में. Edward the Elder. राउटेलेज. पृ॰ 253. ↑ अ आ इ "Aethelstan @ Archontology.org". archontology.org. अभिगमन तिथि 15 मार्च 2007. ↑ अ आ इ "EADMUND (Edmund) @ Archontology.org". archontology.org. अभिगमन तिथि 17 मार्च 2007. ↑ "English Monarchs – Kings and Queens of England – Edmund the Elder". archontology.org. अभिगमन तिथि 17 मार्च 2007. ↑ "(Edred) @ Archontology.org" [एडरेड]. archontology.org. अभिगमन तिथि 17 मार्च 2007. ↑ BritRoyals – King Edred. Retrieved 17 मार्च 2007. ↑ अ आ इ "(Edwy) @ Archontology.org" [एडविग]. archontology.org. अभिगमन तिथि 17 मार्च 2007. ↑ Catholic Encyclopedia: Edwy. Retrieved 17 मार्च 2007. ↑ "EADGAR (Edgar the Peacemaker) @ Archontology.org". archontology.org. अभिगमन तिथि 17 मार्च 2007. ↑ The Ætheling. Retrieved 17 मार्च 2007. ↑ अ आ English Monarchs – Kings and Queens of England – Ethelred II, the Redeless. Retrieved 17 मार्च 2007. ↑ "English Monarchs". अभिगमन तिथि 27 अक्टूबर 2007. ↑ "Sweyn (Forkbeard) - Archontology.org". अभिगमन तिथि 27 अक्टूबर 2007. ↑ अ आ इ ई EADMUND (Edmund the Ironside) @ Archontology.org. Retrieved 17 मार्च 2007. 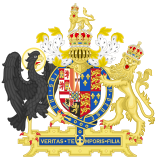 ↑ अ आ English Monarchs – Kings and Queens of England – एडमंड प्रथमronside. Retrieved 17 मार्च 2007. ↑ एडमंड प्रथमI (king of England) @ Britannica.com. Retrieved 25 मार्च 2010. ↑ अ आ इ ई CNUT (Canute) @ Archontology.org. Retrieved 21 मार्च 2007. ↑ अ आ इ Harold was only recognised as regent until 1037, when was recognised as king. "Harold (Harefoot) - Archontology.org". अभिगमन तिथि 27 अक्टूबर 2007. ↑ "Harold I". Oxford Online Dictionary of National Biography. अभिगमन तिथि 20 फरवरी 2012. ↑ "हार्थैक्नट - Archontology.org". अभिगमन तिथि 28 अक्टूबर 2007. ↑ "हार्थैक्नट". Oxford Online Dictionary of National Biography. अभिगमन तिथि 20 फरवरी 2012. ↑ अ आ After reigning for approximately 9 weeks, Edgar the Atheling submitted to William the Conqueror, who had gained control of the area to the south and immediate west of London ( "Eadgar (the Ætheling) - Archontology.org". अभिगमन तिथि 26 अक्टूबर 2007. ). ↑ "STEPHEN (of Blois) - Archontology.org". अभिगमन तिथि 25 अक्टूबर 2007. ↑ "MATILDA (the Empress) - Archontology.org". अभिगमन तिथि 27 अक्टूबर 2007. ↑ ऐश्ले, माइक (१९९९). The Mammoth Book of British Kings and Queens [ब्रिटिश राजा रानियों की विशाल पुस्तक]. लंदन: रॉबिन्सन प्रकाशन लि. पृ॰ 516. आई॰ऍस॰बी॰ऍन॰ 1-84119-096-9. ↑ अ आ पाइन, लेस्ली गिलबर्ट (1983). A Dictionary of mottoes [ध्येय वाक्यों का शब्दकोष]. राउटलेज़ प्रकाशन. पृ॰ 53. आई॰ऍस॰बी॰ऍन॰ 978-0-7100-9339-4. ↑ नोरिस, हर्बर्ट (1999). Medieval Costume and Fashion [मध्यकालीन वेशभूषा व फैशन] (सचित्र व्याख्या, पुनर्मुद्रित संस्करण). कूरियर डोवर प्रकाशन. पृ॰ 312. आई॰ऍस॰बी॰ऍन॰ 0-486-40486-2. ↑ "HENRY IV - Archontology.org". अभिगमन तिथि 25 अक्टूबर 2007. ↑ अ आ Edward V was deposed by Richard III, who usurped the throne on the grounds that Edward was illegitimate. "EDWARD V - Archontology.org". अभिगमन तिथि 25 अक्टूबर 2007. ↑ "RICHARD III - Archontology.org". अभिगमन तिथि 25 अक्टूबर 2007. ↑ "Lady Jane Grey: Marriage". अभिगमन तिथि 25 अक्टूबर 2007. ↑ अ आ इ ई "ओलिवर क्रॉमवेल 1599–1658". अभिगमन तिथि 25 अक्टूबर 2007. ↑ "Oliver Cromwell – Faq 1". अभिगमन तिथि 25 अक्टूबर 2007. ↑ "New Page 1". मूल से 29 September 2007 को पुरालेखित. अभिगमन तिथि 25 अक्टूबर 2007. ↑ अ आ इ "Richard Cromwell, Lord Protector, 1626–1712". अभिगमन तिथि 25 अक्टूबर 2007. ↑ "CROMWELL, Richard - Archontology.org". अभिगमन तिथि 25 अक्टूबर 2007. ↑ "WILLIAM III - Archontology.org". अभिगमन तिथि 25 अक्टूबर 2007. ↑ "Anne (England) - Archontology.org". अभिगमन तिथि 25 अक्टूबर 2007. ↑ Welcome parliament.uk. Retrieved 7 अक्टूबर 2008.